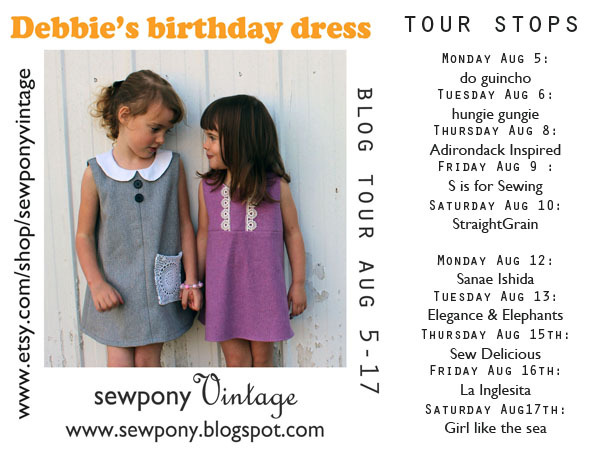 When Suz from sewpony invited me to join the Debbie's Birthday Dress Pattern Tour, how could I not? 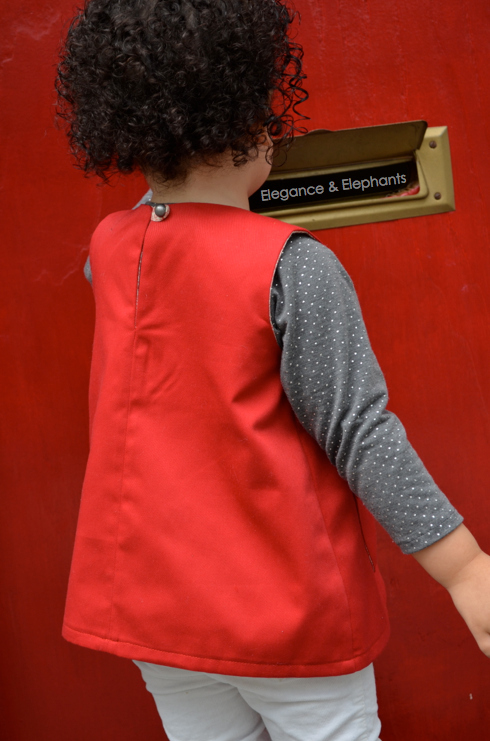 She is a fellow admirer of vintage inspired design, so sewing her first digital pattern was a pleasure! And this is only the first of many vintage styled pattern she will be designing for her shop: sewpony Vintage. 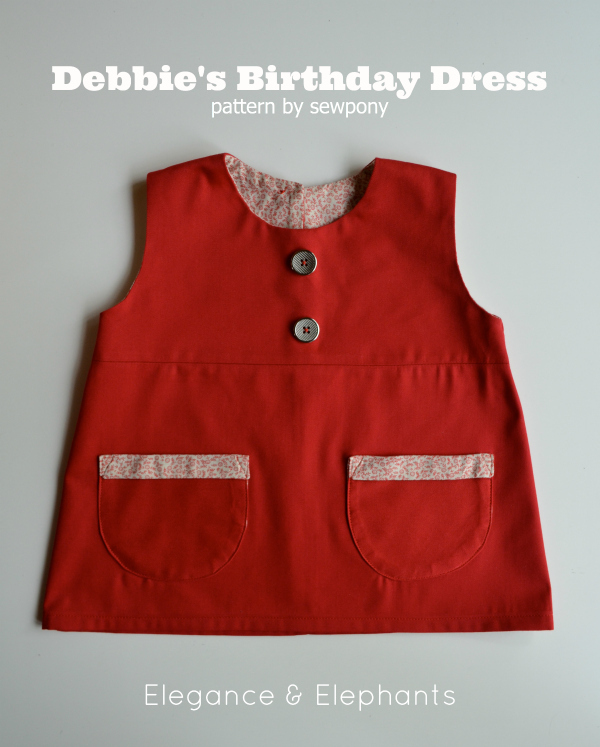 Debbie's birthday dress is my first vintage inspired digital pattern. It was inspired by my favourite childhood book - Debbie's birthday party, written by Gilbert Delahaye and illustrated by Marcel Marlier in Belgium, 1969. This pattern is sized 18 months - 7 years. It has two views, both of which appear in the book and have a sweet vintage feel. Both views are a classic A-line style dress. View 1 has a separate bodice with trim. 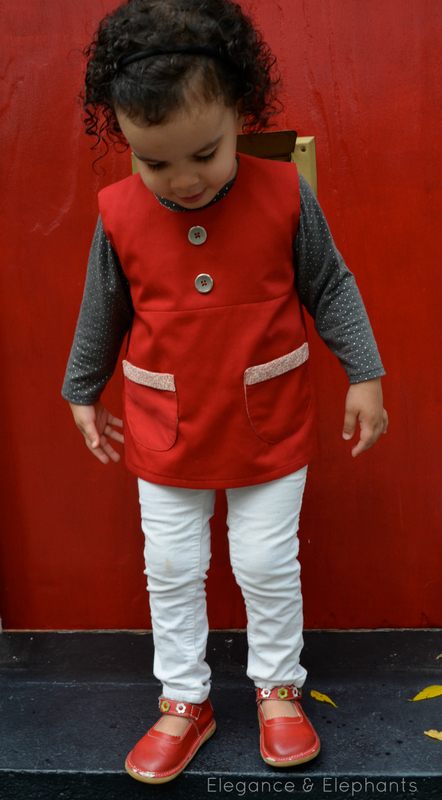 View 2 has a central seam with a peter-pan collar, accent buttons and pocket. 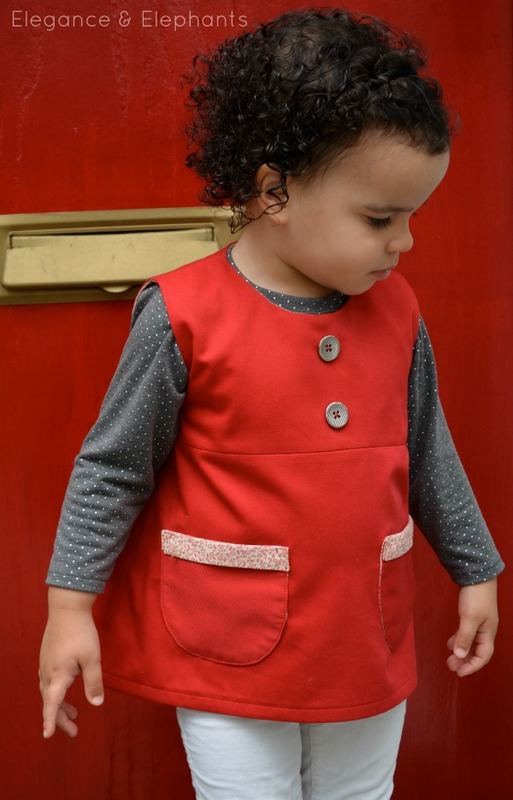 Both views have a button and loop closure at the back and a lined bodice. 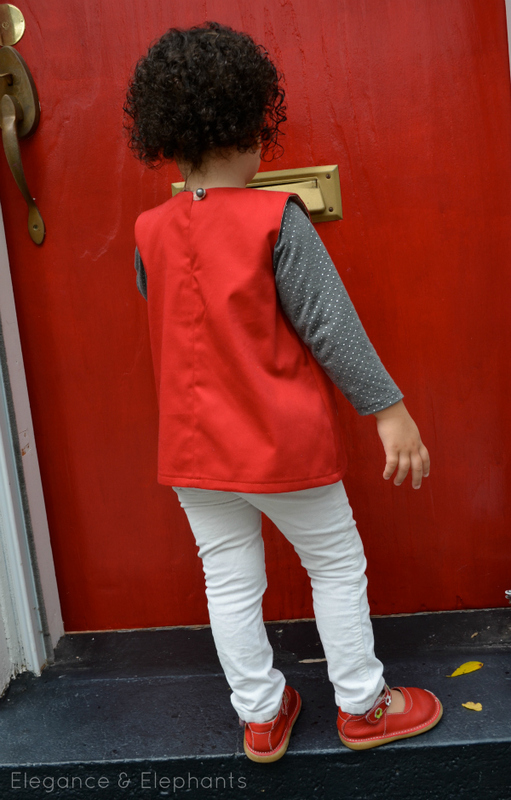 The peter-pan collar and pocket can also be used with View 1. For my Debbie's Birthday Dress, I made View 1, but omitted the trim and added the buttons from View B. I also shortened the length to a tunic and look forward to a layered look for the upcoming cooler months. Suz recently created a tunic length adjustment chart for anyone who also wants to create this variation. The pockets were something I changed up as well....my daughter's really into pockets right now, so I wanted two with a little of the lining showing. I made a size 2 and it fits great! 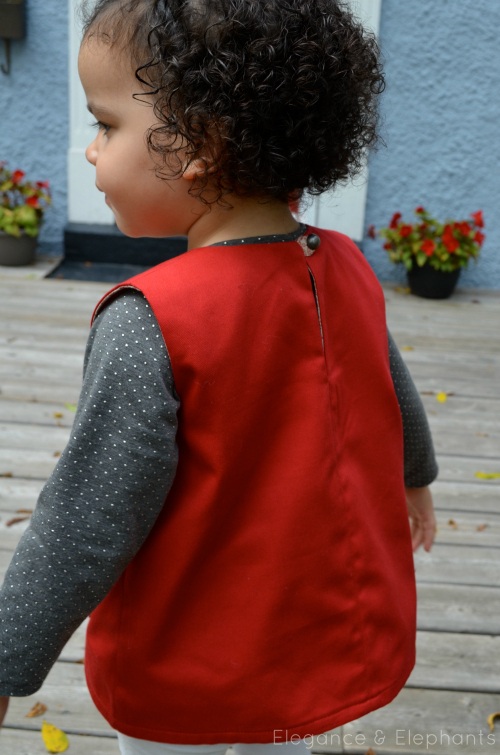 The pattern is super easy to follow and great for beginner sewists. You definitely can't tell this is Suz's first pattern, as it's a very professionally made. I'm so glad it's now part of my collection! 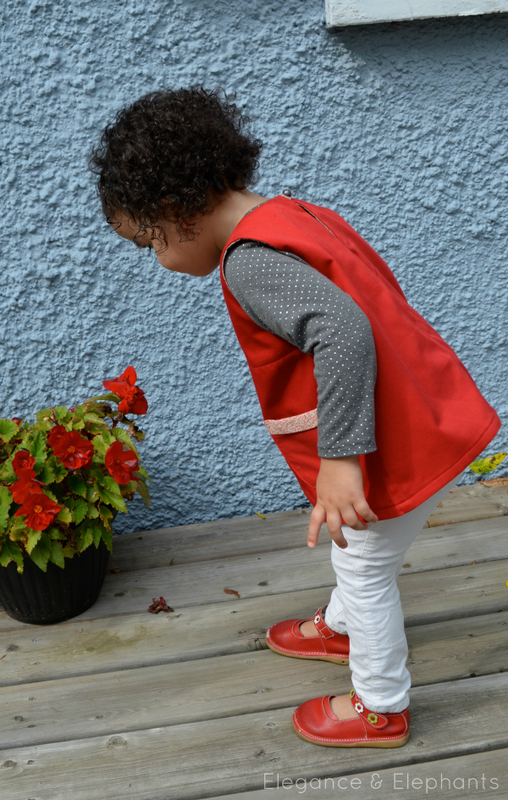 During this tour, the Debbie's Birthday Dress pattern is available for 20% off the regular price, so if you want to add this super cute pattern to your collection, now's the time! Use discount code: BLOGTOUR1. Head over to the Debbie's Birthday Dress Flickr Group to see more! And keep following the tour to see what all the other talented ladies make. 13 comments on "Debbie's Birthday Dress Pattern Tour"
Gorgeous Heidi!!! You have done such a beautiful job. You take such care with your work! Thank you so much!! Thanks to you for the beautiful pattern, Suz! Love it! Thank you, Jenya! I love red, too! Aww! Your version is one of my favorites so far! 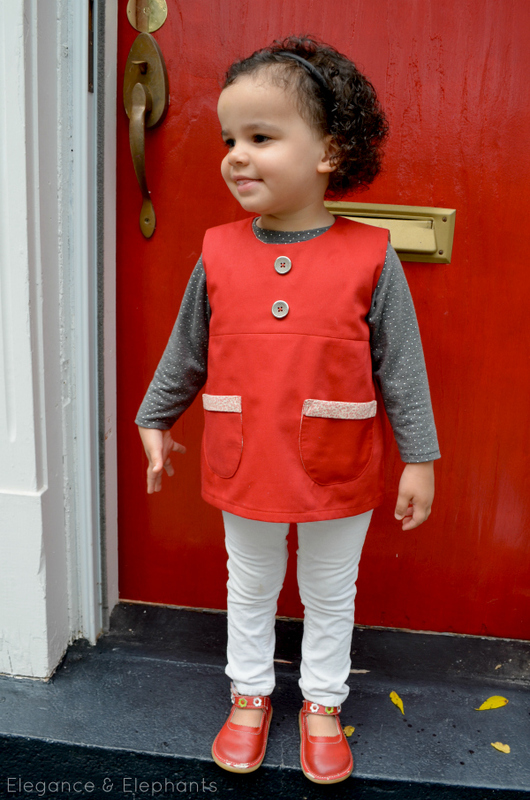 I love that sweet lining & pocket trim. I also like how you style your vintage flavored pieces with modern classics. Great job, as always! I love it!!! This to me speaks vintage. Amazing as always! Thank you Venus! There's nothing like a little vintage, right!? Hi Heidi! I love your take on Suz' pattern. I just purchased the pattern and my fabric yesterday and was about to dive into sewing but I am so happy to see your post hit my inbox. Like you, I was thinking of combining view 1 with the buttons. And I was all set to add two square pockets but love your idea of rounding them out. I think I will do that. I would love to know how you lined the pockets. I don't seem to have any patterns that shows me how to do it properly and am a bit wary of experimenting since this is a gift for a niece. 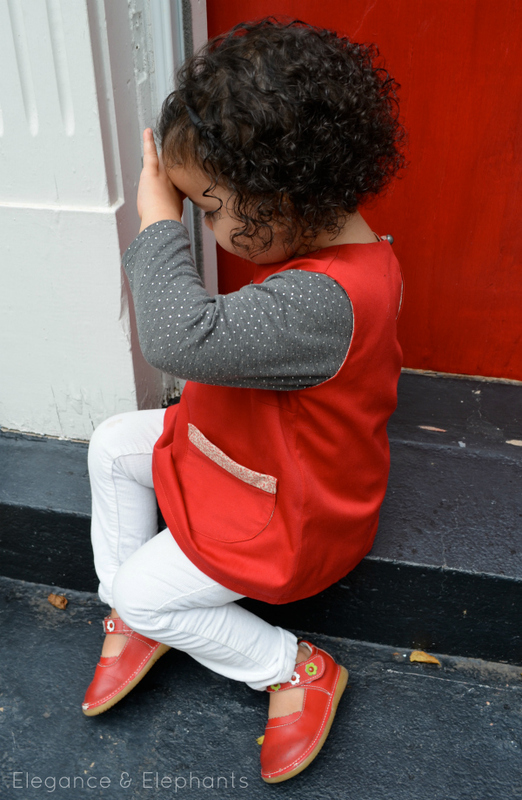 This makes such a sweet little tunic! Love it, of course.